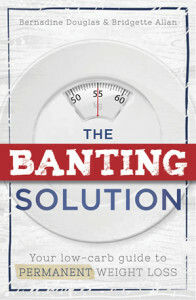 Many banters don’t know how to get started on the banting diet, or what they can eat and how much. This book will answer all their questions, and also explain the science behind it. With so many people following the LCHF (Low Carb and High Fat) lifestyle since the Real Meal Revolution has been launched in November 2013, have I noticed that many of these and in particular women are still struggling with how exactly this lifestyle works. Many of these ladies have bought RMR book and still don’t know what to do and how to do Banting for Fat Loss. A group by the name of Banting for Weight loss was started last year May and both I and Bridgette Allan are admin members on this group with a member count of nearly 60 000 people and day in and day out do we see the most common questions e.g. “I have the RMR Book but I still don’t know what to do.” We have been giving endless support and advice on this group and we have also through our Banting Slimming Clinics across South Africa done many consultations online and face to face. This is our main business; we are a slimming group specializing in the Banting Lifestyle.